IP door entry systems are fast becoming an integral part of the telecom and security industry. Back in August 2015, we expanded our portfolio of door entry products and launched Castel's range of IP intercom systems. 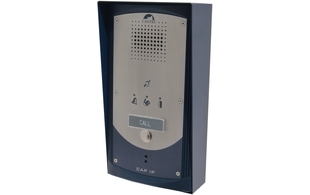 These professional intercoms are fully compliant with disability regulations and come integrated with advanced IP capabilities. ProVu and Castel are joining forces to deliver a webinar being held Wednesday 13th April at 3:00 PM GMT+1 (London). Throughout the session, you will learn about Castel's professional intercoms, what sets Castel apart from the competition and how they can help expand your portfolio. We expect this session to last approximately 30 minutes.